Newton’s absolute time may feel like an accurate description of the beast that rules our daily lives, but in science the notion was shattered in 1905 by Einstein’s special theory of relativity. “Einstein showed that there isn’t a universal time,” explains Davies. “Your time and my time get out of step with each other if we move differently.” In other words, the duration of time between two events can vary depending on how fast you are moving in the period between the events. Imagine two observers, one on a train and one stationary. The traveller sends a pulse of light from a torch vertically up. The traveller’s view is shown on the left: the pulse travels vertically up. The stationary observer’s view is shown on the right: the position of the torch and train ceiling at the start and end of the pulse’s journey are shown in black and blue respectively. The pulse travels diagonally. At the root of this strange time warping effect lies Einstein’s postulate that the speed of light should be the same for all observers, no matter how fast they are moving. Imagine two observers, one travelling on a train and the other stationary by the side of the tracks. As the two pass each other the traveller emits a pulse of light from a torch shining vertically up. The two observers will disagree on the distance the pulse has travelled when it hits the ceiling of the train, because the stationary observer perceives not just the vertical motion of the pulse, but also the horizontal motion of the train. We don’t notice this time dilation in daily life, but it’s not so small as to be unmeasurable. “If I fly from Phoenix to London and back again, and then compare my clock with that left in the office, they will be out of step with each other by a few billionths of a second,” says Davies. That’s a tiny amount for humans, but it’s well within the measuring capability of modern clocks. 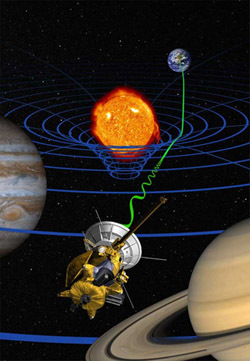 An artist’s impression of the Sun warping spacetime and the Cassini space probe testing relativity by measuring how signals are delayed by the warping. Image courtesy NASA. But motion isn’t the only thing that can distort time. In his general theory of relativity, published in 1916, Einstein showed that gravity too can slow time. Rather than thinking of gravity as an invisible force that wafts across the ether, Einstein thought of it as the effect of massive bodies distorting the very fabric of space. A famous analogy is that of a bowling ball sitting on a trampoline, which creates a dip that a nearby marble will roll into. According to general relativity, massive objects like stars and planets warp space in a similar way, and thus “attract” other bodies that pass nearby. However, Einstein realised that time and space are inextricably linked in what he called spacetime, so the warping effect of gravity does not just effect space, but also time. Einstein drew an interesting conclusion from his results about the nature of time. In a letter to the family of a recently deceased friend, Michele Besso, Einstein wrote, “… for us physicists believe the separation between past, present, and future is only an illusion, although a convincing one.” Since time is relative to the observer, it is impossible to divide it up into past, present and future in a way that is universally meaningful. In some sense, past, present and future are all there at once. Incidentally, there is nothing in Einstein’s theory that prohibits time travel, be it into the future or into the past. But this is a can of worms we won’t open here, as you can read about it in Kip Thorne’s Plus article Is time travel allowed? (or read Davies’ book How to build a time machine). Thinking of past and future brings us to another problem that has foxed scientists and philosophers: why time should have a direction at all. In every day life it’s pretty apparent that it does. If you look at a movie that’s being played backwards, you know it immediately because most things have a distinct time direction attached to them: an arrow of time. For example, eggs can easily turn into omlettes but not the other way around, and milk and coffee mix in your cup but never separate out again. Listen to the interview with Davies in our podcast! The most dramatic example is the history of the entire Universe, which, as scientists believe, started with the Big Bang around thirteen billion years ago and has been continually expanding ever since. When we look at that history, which includes our own, it’s pretty clear which way the arrow of time is pointing. “But the mystery is that the laws of physics show no preference for forward time or backward time,” says Davies. For example, if you can make an object move one way by applying a force, then, as Newton’s second law of motion tells you, you can make it retrace its path by applying the same force in the opposite direction. So when you watch a movie of this process you wouldn’t be able to tell if it’s being played forwards or backwards, as both are equally possible. “So the problem is how to account for the asymmetry of time in daily life when the laws that govern all the atoms that make up everything around us are symmetric in time,” says Davies. Much has been made of this problem, which affects Einstein’s physics just as it did Newton’s classical description of the world. But the answer isn’t all that difficult to find. Most processes we feel are irreversible in time are those that (for whatever reason) start out in some very special, highly ordered state — Davies uses a pack of cards as an example. When you first open up a new pack the cards will be ordered according to suit and numerical value. When you shuffle them for a while they will become disordered, so it seems that, as time passes, things will always move from order to disorder. “We might think that this is very strange because there is nothing in the act of shuffling that chooses a direction in time, yet we see a distinct arrow,” says Davies. 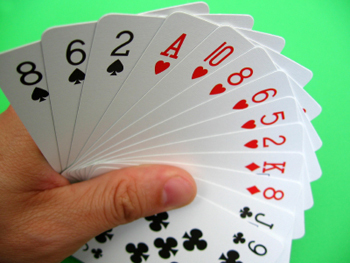 However, there is nothing in the laws of physics that prevents the act of shuffling from producing a perfectly ordered set of cards. It’s just that the ordered state is only one of a total of around 8 × 1067 possible states, so the chance that we come across it while shuffling the cards is vanishingly small. So small that it would never happen even within several lifetimes of shuffling. One thing we have neglected to say so far is that Einstein’s theory, which describes the macroscopic world so admirably well, doesn’t work for the microscopic world. To describe the world at atomic and subatomic scales, we need to turn to quantum mechanics, a theory that’s fundamentally different from Einstein’s. Reconciling the two, creating a theory of quantum gravity, is the holy grail of modern physics. When Schrödinger and Heisenberg formulated quantum mechanics in the 1920s, they ignored Einstein’s work and treated time in Newton’s spirit, as an absolute that is ticking away in the background. This already gives us a clue as to why the two theories might be so hard to reconcile. The status of time in quantum mechanics has also created profound problems within the theory itself and has lead to “decades of muddle and subtlety,” as Davies puts it. One possibility is that time, and also space, are emergent properties of the Universe, which are not part of the bottom level of reality. “It may be that for the extreme conditions at the Big Bang a description in terms of other variables is more appropriate. When we see the world with a well-defined space and time [or spacetime as Einstein put it] this may just be some particular state of the Universe that has emerged out of the Big Bang.” Davies uses a block of rubber as an example: it’s got its very own physical properties, its elasticity for example, but these properties aren’t there at the atomic level. They are a result of the atoms and the laws that govern them combining in one particular way. Similarly, the Universe, as it cooled down from the Big Bang, may have just happened to give rise to spacetime. Perhaps, if it had cooled down in another way, spacetime wouldn’t have come up. 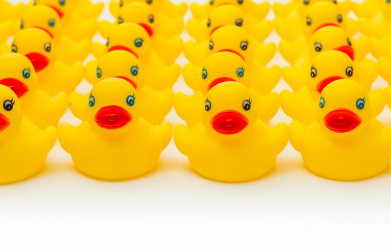 Rubber ducks have emergent properties. One of my mates has just got hit up by a label yesterday & they might use his bootie in Pepe’s new upcoming album promo’s. Palindromes are words or sentences that read the same backward or forward. Here are some of our favorites. 1. Go hang a salami. I’m a lasagna hog. 2. Do geese see God? 3. Was it Eliot’s toilet I saw? 4. 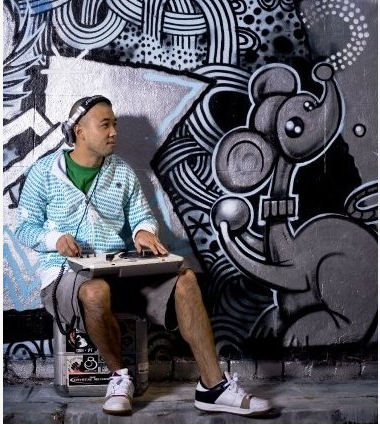 Are we not drawn onward, we few, drawn onward to new era? 5. A nut for a jar of tuna. 6. Dennis and Edna sinned. 8. A man, a plan, a canal: Panama! 9. Ana, nab a banana. 12. We panic in a pew. 13. Never odd or even. 14. Madam in Eden, I’m Adam. 15. Murder for a jar of red rum. Researchers have been investigating the possibilities of clostridium “vectors” to deliver cancer drugs for decades. The team are now planning to work with other researchers on patient trials, due to start in 2013. Nell Barrie, senior science information officer at Cancer Research UK, said: “Finding ways to target treatments to cancer cells while leaving healthy cells unharmed is a key aim of researchers around the world.